Boettcher Scholars have the opportunity to expand their educations by using international education grants or educational enrichment grants offered as part of their scholarship package. Through their travels, scholars have learned new languages, experienced diverse cultures or honed their skills through internships and classes. Many scholars tell us that these were among the most impactful aspects of their college careers. Here’s one of their stories. 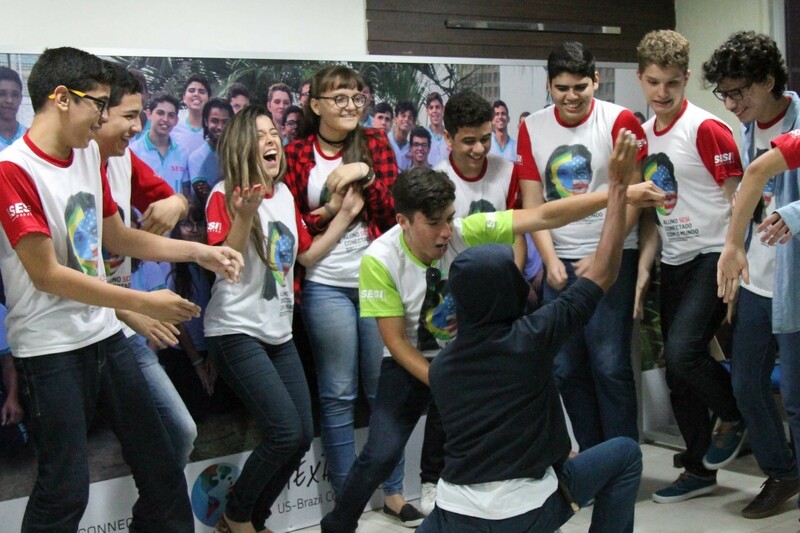 The US-Brazil Connect Conexão Mundo program gave me the opportunity to become an English coach for Brazilian high school students. There were three other English coaches, and we each worked with 11 students. For the first eight weeks of the program, I hosted two, 30-minute video calls per week with my students and posted Facebook assignments for them to complete. The second phase of the program was the cultural immersion phase. 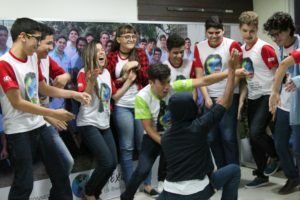 We traveled to Campina Grande, Paraiba, Brazil for three weeks to continue supporting our students with English through face-to-face interactions. The final phase resumed with the video calls and Facebook assignments for six weeks. This program truly changed my life. It made me realize the passion I have for education, and I am now pursuing a master’s degree in education because of it. 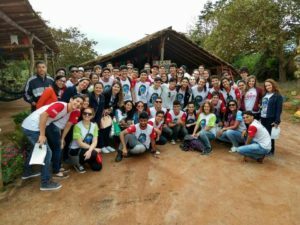 The culture in Brazil was so amazing, and the way that the students and Brazilian coordinators treated and welcomed us was incredible. I was able to establish strong relationships with people that I know will last a lifetime. My students are honestly some of the most important people in my life now, and I care very deeply for them. Without a doubt, I would recommend this program (or any program similar to this) to anyone, especially those who have the slightest thought about doing something in education. Cesar is returning to Brazil in the summer of 2018 to teach English with the program.